Floral Friday! Focusing on beautiful coloured resin flowers! 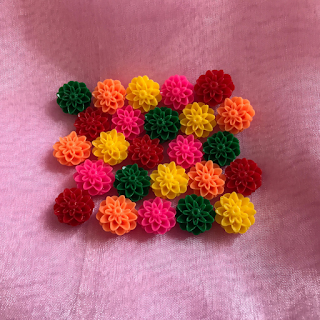 So while it's a bit depressing that we're still stuck in work, the weekend is nearly here so we're here to brighten up your life today with some wonderful coloured resin beads that are in the shape of ornate flowers. 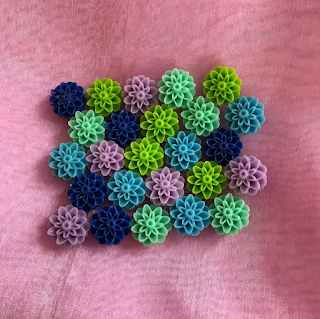 We have two sets available, the bold colour set and the muted colour set, each holding 25 pieces (5 of each colour) and every bead is pre-drilled with a side hole so that you can even turn it into a necklace or other piece of jewellery if you wanted! If you're interested in these products, either contact us at sarah@craftallday.co.uk, visit our Facebook page at www.facebook.com/theresinshop, or click on the images to be taken to the pages directly!